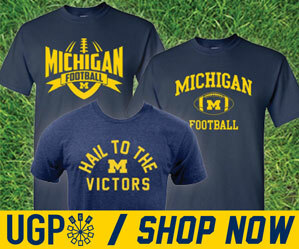 • Michigan goes 4-0 for the second consecutive year. First time since 1996-1997. • The Michigan offense can work just fine without Denard. We clicked on all cylinders even after Denard went down. Vincent Smith, Michael Shaw, Michael Cox, Fitzgerald Toussaint all got plenty of looks today, and all had great moments...especially Toussaint toward the end of the game. 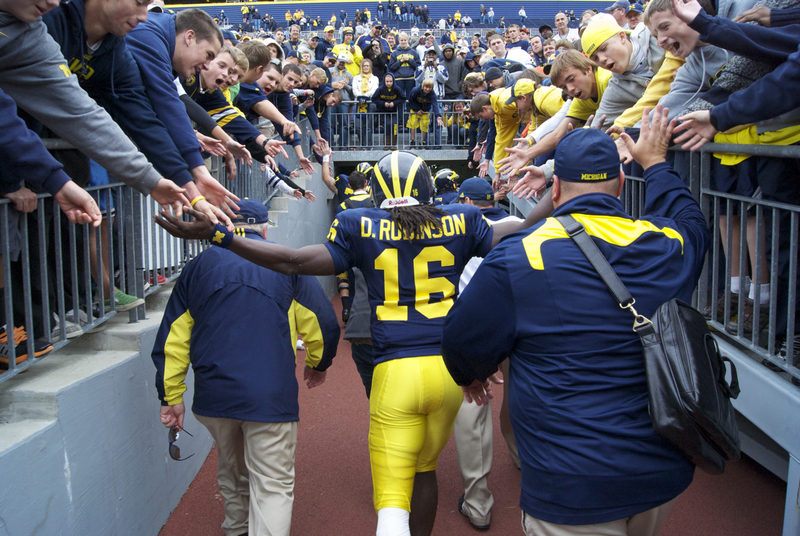 • Denard showed he doesn't need a whole game to put up good numbers. 4 for 4 passing for 60 yards, 5 rushes for 129 yards and 2 scores. • In the post game presser, Rodriguez said Denard was cleared to play in the second half, but wasn't needed. He will not undergo any tests. Trainers are happy with his prognosis. He will be ready to go against Indiana. • If Denard goes down, like he did today, we obviously have two QBs capable of running this offense. This is thanks in large part to a great O-line. Taylor Lewan got his first career start at left tackle, and looked very good. Perry Dorrestein will hopefully be okay after leaving the game early. • Tate looked like the better backup today. He actually set a Michigan QB record for throwing % in a game. He was 12 for 12 for 110 yards and 1 TD pass. That's the best % of any Michigan QB with 10 or more throws in a game. • Not to be outdone, Devin was 7-10 for 85 yards and 1 TD pass. If Junior Hemingway could catch, you could add a TD and about 40 yards of passing. He also had 6 runs for 25 yards and a TD.